except Rio Pueblo and Lone Juniper. 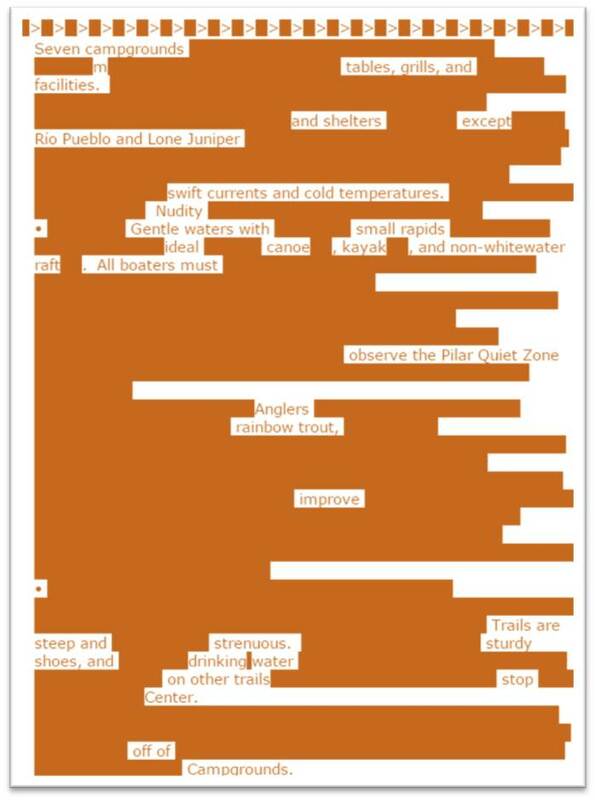 All boaters must honor the Pilar Quiet Zone. Anglers may improve, fishing rainbow trout. and center – off of camp grounds.